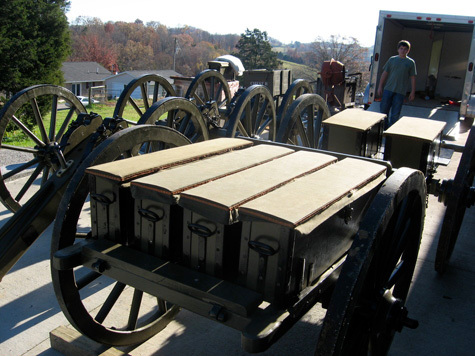 This carriage fits the 6 Pdr Gun, 12 Pdr Field Howitzer, Ordnance Rifle or 10 Pdr Parrott. It is the earlier/Prewar Pattern, correct for all tubes, made here in our shop. Our carriages are crafted from Kiln Dried Oak, the parts are Cast Steel, or Polished Bronze. Lovingly made by our craftsman and ready to drop your tube right on. or 24 Pdr Field Howitzer. 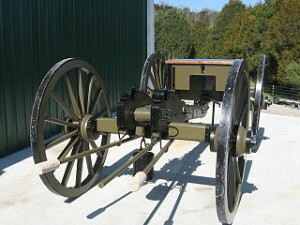 Model 1841or 32 Pdr Field Howitzer.